For questions about PMP permit requirements contact the MPCA’s Customer Assistance Center at 651.296.6300 or 800.657.3864. Questions can also be submitted electronically through the Ask MPCA Web page. EPA Guide: Environmental Management Systems (EMS) Handbook for Wastewater Utilities. A guide published by the EPA on achieving environmental excellence. The National Pollutant Discharge Elimination System (NPDES) permits and regulates wastewater discharges to lakes, streams, wetlands and other surface waters. State Disposal System (SDS) permits regulate the construction and operation of wastewater disposal systems, including land treatment systems. Together, NPDES/SDS permits establish specific limits and requirements to protect Minnesota’s surface and ground water quality for a variety of uses, including drinking water, fishing and recreation. Access permit forms through links on the Minnesota Pollution Control Agency Web site. If you are a wastewater treatment facility, you should develop a Phosphorus Management Plan (PMP). PMPs are intended to help you understand the inputs of phosphorus to, and treatment capabilities of your POTWs, and evaluate pollution prevention and POTW optimization options that can lead to reducing the amount of phosphorus discharged to Minnesota receiving waters. 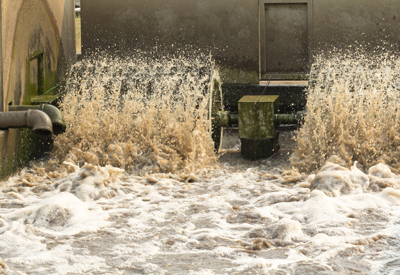 Your facility’s NPDES permit may include an effluent phosphorus limit. The PMP resources provided by the MPCA can help you diminish the amount of phosphorus entering the wastewater collection system and optimize the phosphorus removal capabilities of your POTW with potential cost savings for both you and your industrial users. The MPCA requires a Mercury Minimization Plan (MMP) for some industrial facilities with industrial stormwater, hazardous waste, or air quality requirements. A MMP should be designed to identify all potential sources of mercury, manage mercury so that it is removed from the water, and remove and dispose of mercury-containing devices from the water. The Northeast Waste Management Officials’ Association (NEWMOA) provides a Mercury-Containing Product Database to aid in identifying mercury sources. MMPs should work in conjunction with your facility’s Stormwater Pollution Prevention Plan. The MPCA offers the MMP form, a Mercury Minimization Plan Checklist to help facilities comply with the program requirements, and other mercury-related resources.